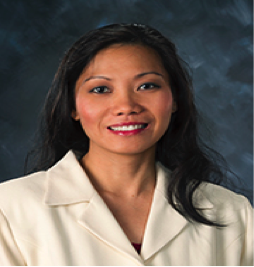 Phyllis Caro is a recent graduate of Kellogg School of Management from Northwestern University. She has over eighteen years of marketing experience in Fortune 500 companies within Durables and Consumer Package Goods industries. Her MBA education has reshaped her career options. She is now an entrepreneur working on launching her own business venture. Phyllis grew up in a large family surrounded by aunts, uncles and cousins. There were hardly any quiet days in her childhood as her relatives and cousins would visit her grandma often, who lived with her family. One of her fond memories was playing hide and seek in the house with twelve older cousins. She learned to count to 100 as a five-year-old because of the hide and seek games. Phyllis loves to jog, hike and spend time with her family and friends in her free time. She also loves to travel, meet new people and learn about new cultures. Phyllis is passionate about the Breast Cancer Hub because she believes in its mission and purpose. She is deeply affected by her cousin who lost her fight with breast cancer in her early 30s. Phyllis strongly believes that many lives could be save if people are more aware and have more information about the disease. Phyllis is engaging and soliciting friends and family in different parts of the world to spread the word and the importance of Breast health in every woman and man’s lives.